This is a house that has been drooled over on many design blogs, for a reason: it is a stunning combination of antique and modern all in a beautiful palette of pastel colours and caramel toned leather. 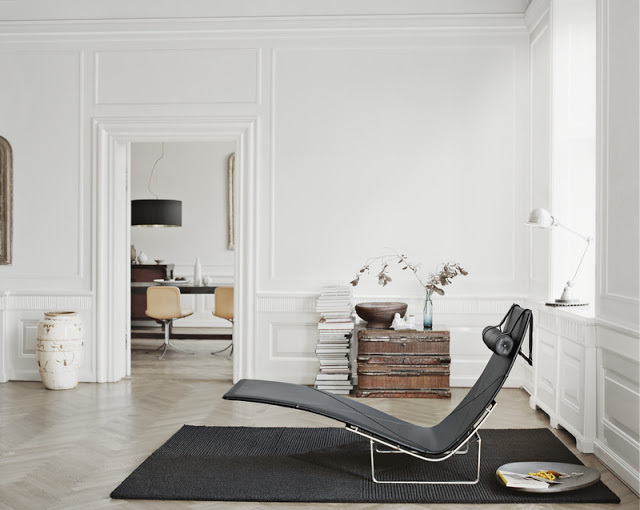 The old townhouse belonging to the Jacob Holm, CEO of the Danish furniture company Fritz Hansen, and his family, is almost like a gallery with its original wood panelling on the walls, parquet floors, high ceilings and those amazing windows. I love the original kagelugn (tiled round wood stove) in the corner. 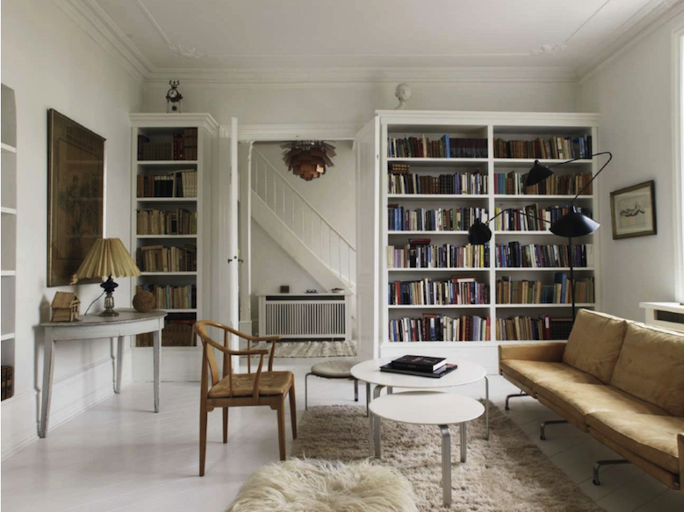 And every room is literally dripping with iconic Scandinavian mid-century design classics, you can name drop your way through the house: there’s another Poul Kjaerholm there, a couple of Arne Jacobsens here… but it still looks so homely (It’s the books. Seriously, I want to get a dinner party invitation and snoop through those book shelves). It is lived in, comfortable, human. Art, beauty and function remixed.